According to the Fancy Color Diamond Index, the best performing fancy color diamonds were Vivid blues, which showed price increases of up to 6 percent over the previous quarter. From July to September, the Index was practically unchanged, despite lower transaction volumes. Yellow diamond prices, especially in the Fancy category, were soft and declined by up to 2 percent. Blue diamonds showed average price rises of up to 2 percent, driven by the Vivid category, with certain sizes (1.5 carat, 2 carats and 5 carat) increasing by as much as 5-6 percent over the previous quarter. According to the FCRF, this is the most significant quarterly price increase for blue diamonds in the last 12 months. Prices for pink diamonds were on average unchanged. Compared to Q3 2014, blue diamonds have been the strongest performer among all color categories with a 3-4 percent price appreciation. The highest single-category year-on-year price increase was for 5-carat Vivid blue diamonds, which soared 11 percent. “Demand for blue diamonds may have been magnified by the excitement being generated by the upcoming Sotheby’s auction headlined by the “Blue Moon,” one of the world’s important fancy Vivid blue diamonds,” said FCRF Advisory Board chair Eden Rachminov. 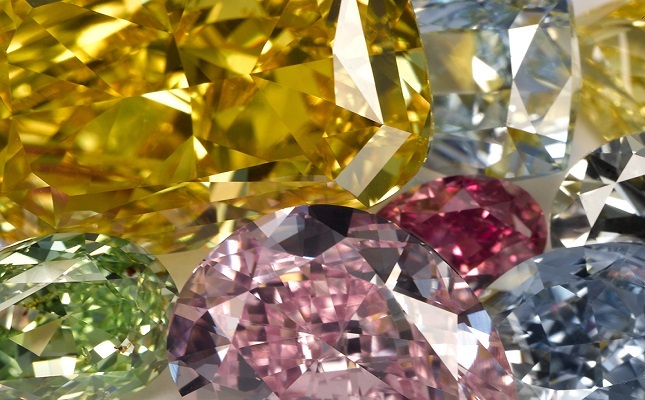 The Fancy Color Diamond Index tracks pricing data for yellow, pink and blue fancy color diamonds in Hong Kong, New York and Tel Aviv.